When Ohio State hired former Michigan assistants Greg Mattison and Al Washington back in January, it set up what’s likely going to be an awkward year. Mattison and Washington aren’t the first people to hop from one side of the rivalry to the other, of course. Offensive lineman Justin Boren started his playing career at Michigan before transferring to Ohio State in 2008. Bo Schembechler was an Ohio State assistant six years before he took the head coaching position at Michigan. Gary Moeller was the captain of Ohio State’s 1963 team, and served as the Wolverines’ coach from 1990-1994. But unlike Bo and Mo, Mattison and Washington are switching straight from one sideline of The Game to the other. That could make the switch seem a little more personal. Monday, Michigan coach Jim Harbaugh said he didn’t see it coming – especially Mattison. 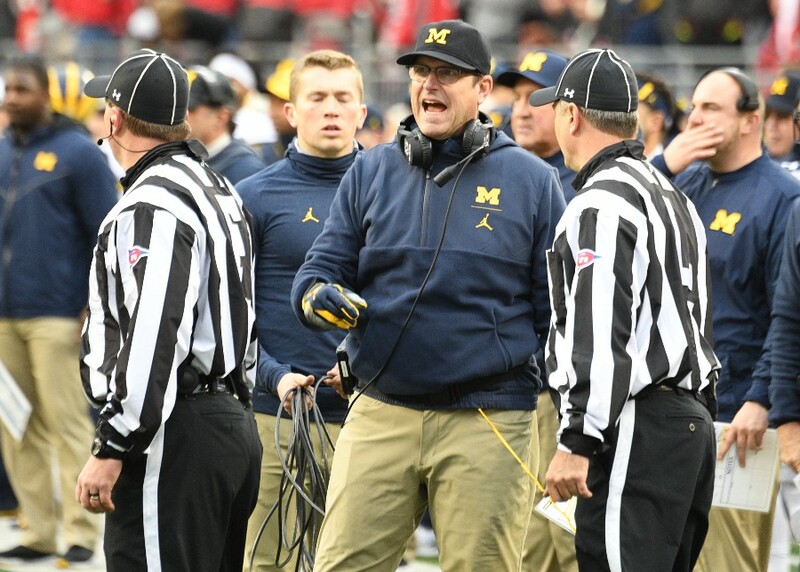 “I wouldn’t say shocked, I was surprised, yeah,” Harbaugh said. Back in February, Mattison said he couldn’t turn down an opportunity to serve as a co-defensive coordinator for the Buckeyes. He spent the last four years as a position coach for the Wolverines. 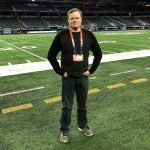 “To have the opportunity to be a co-coordinator at a great university like Ohio State was an opportunity that I really wanted to pursue,” Mattison said. While the change may have blind-sided him initially, Harbaugh said he ultimately understood it. Mattison made a similar move back when Lloyd Carr was Michigan’s coach, leaving Ann Arbor to take a defensive coordinator position at rival Notre Dame. Switching sides to the hated Buckeyes might sting a little extra following the Wolverines’ 62-39 loss last November, but Harbaugh chose to take the high road. Harbaugh wasn’t specifically asked about Washington. That change wasn’t quite as surprising, since he’s a Columbus native whose father played linebacker for the Buckeyes. If you’re interested in binging on the latest on the defending Peach Bowl runners-up, you can watch Harbaugh’s full initial spring press conference below. Well, I’m also a reader and I enjoyed the article. What is this site again, please? A full color photo of Hairball and his quote as the article title? In the past I have correctly remarked about the “less than valuable” nature of some off season articles. Now we’re doing fluff pieces on scUM? It is hardly noteworthy that UM’s coach would be unhappy with his own staff moving to OSU- this isn’t a story. The quote is directly about an Ohio State coach. It is from a person who readers of the site generally seem quite interested in, based on past traffic patterns. We have not talked to Mattison for more than a month, so we weren’t able to immediately get his response, meaning the new and newsworthy portion of this story was what Harbaugh said. I look forward to stealing “In the past I have correctly remarked about…” as a phrase to use in everyday conversation. Well Tom, it is NOT news. News would have been if Hairball said he thought it was “great” that he was bleeding assistants to OSU- which he clearly does not. (And even then it would be nothing more than an anecdote to chuckle over, given it’s source). Next, if you qualify as newsworthy EVERY comment about OSU’s coaches made by a person who has a platform, you are going to be a very busy guy reporting that “news”. (Except, of course, it is NOT news). I see you’ve now written “news” about Tate Martell- no longer part of the team, didn’t contribute much when he was, etc. Have I been in a coma recently, and missed that Miami (Florida, not Ohio) is a 2019 opponent? Relevance? Finally, you won’t be “stealing” the comment I made that you like. Just make sure you’re right when you use it!